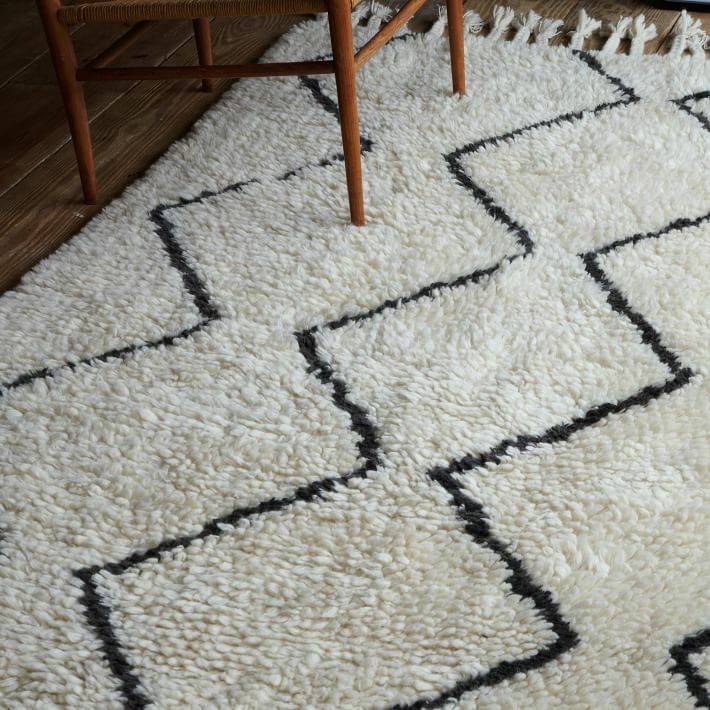 The beginning of a new year is the perfect time for fresh starts, and nothing freshens up your space quite like a new rug! 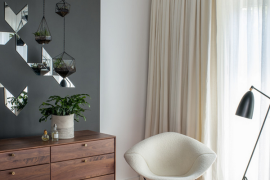 Today we take a look at 10 fabulous finds, from pieces that reflect top trends to classic color combinations that will work in nearly any interior. 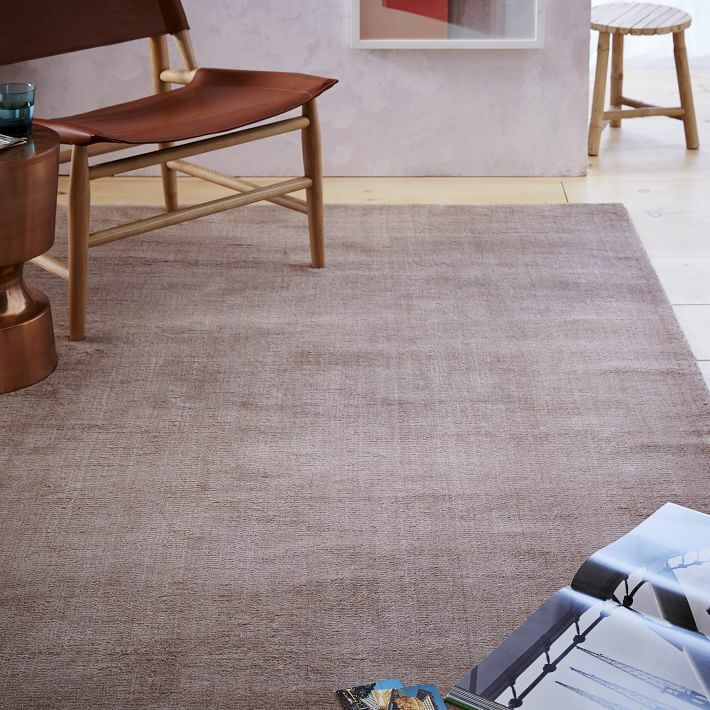 Enjoy browsing our favorite picks below, and keep in mind that there are many sales to enjoy during the first part of the year, so happy shopping! 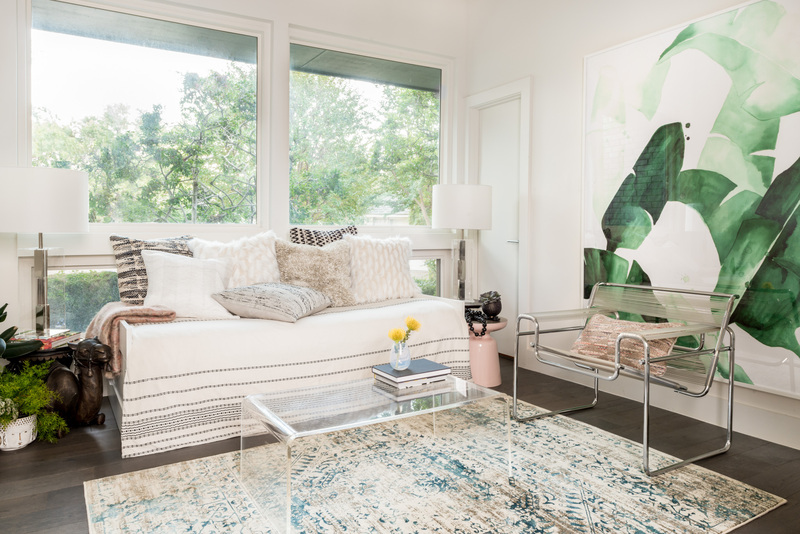 Since we’ve been talking about top rug trends, we’ll keep the conversation going as we focus on a few colors and styles that you may want to consider this season. 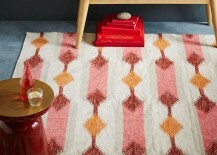 Rosy tones are hard to beat, and this Hand-Loomed Shine Rug in Dusty Blush from West Elm veers into eggplant territory. 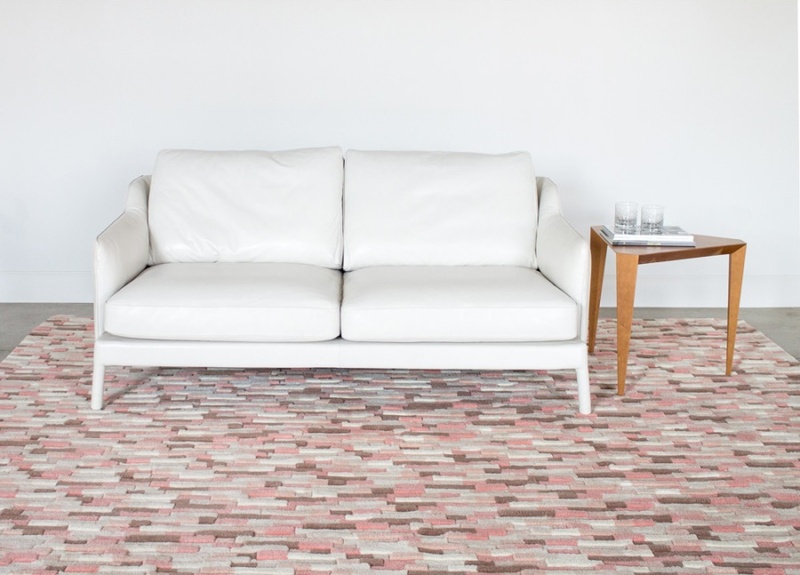 Which we’re loving, especially since we’re seeing so much pink this season (not that we’re complaining)! 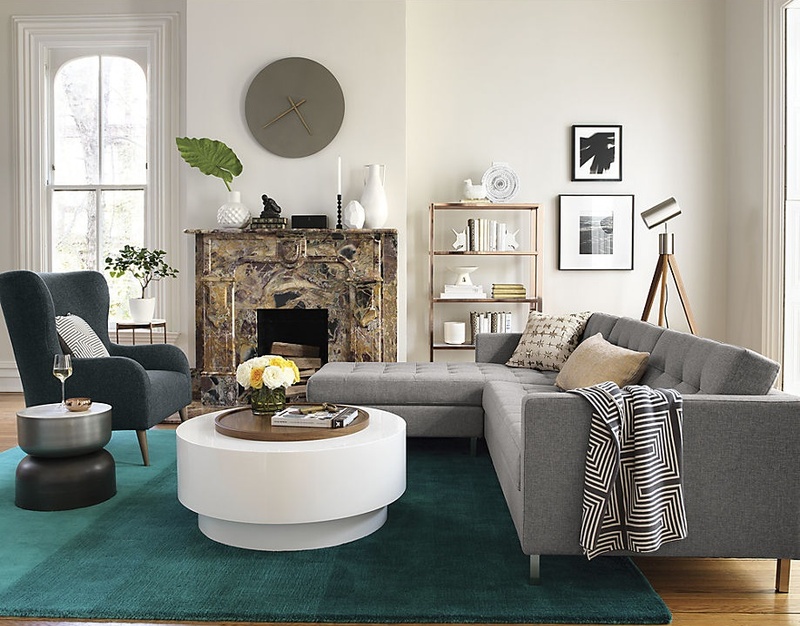 Along with dusty blush, teal is making a comeback (hint: try combining these two hues with deep gold, copper, and mustard tones). 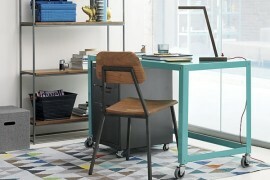 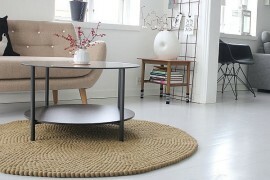 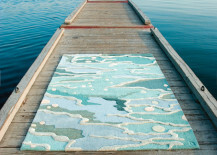 Below we see CB2’s Ombre Teal Rug, which puts a gradient-style spin on the wool rug phenomenon! 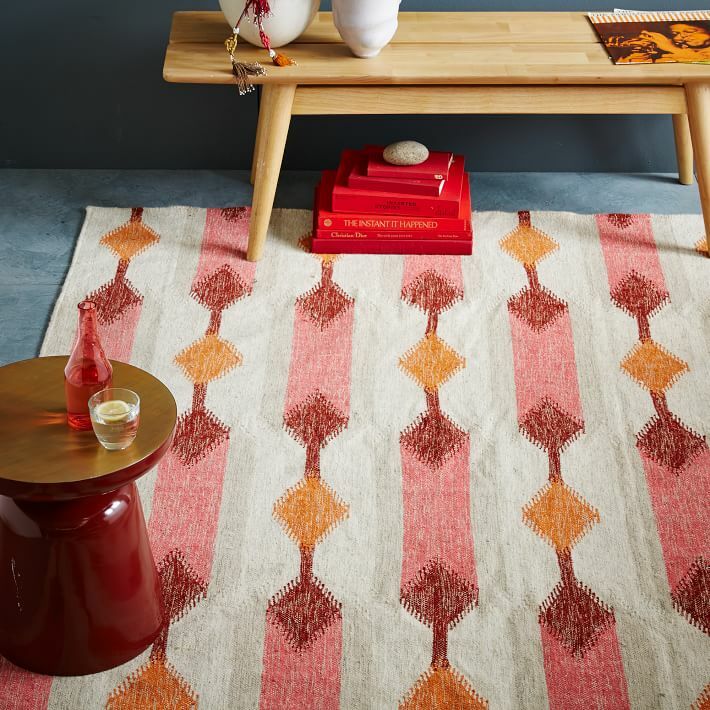 It’s hard to go rug shopping without encountering a kilim rug or two, and we’re drawn to the warm tones (including coral) of this Teardrop Ikat Kilim Rug in Bell Pepper from West Elm. 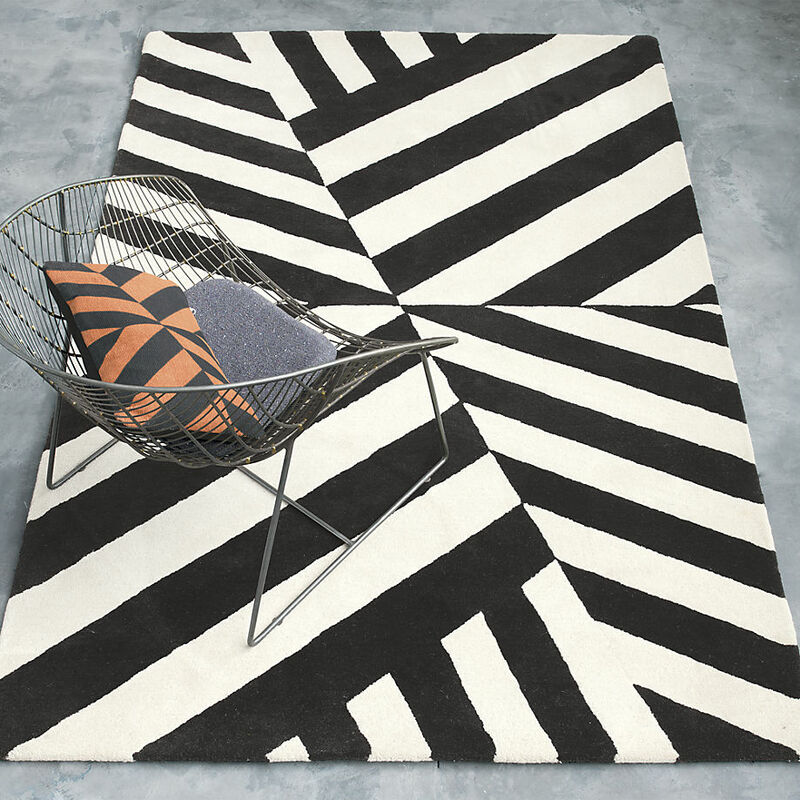 A modern geo pattern meets hand-loomed flatweave wool. 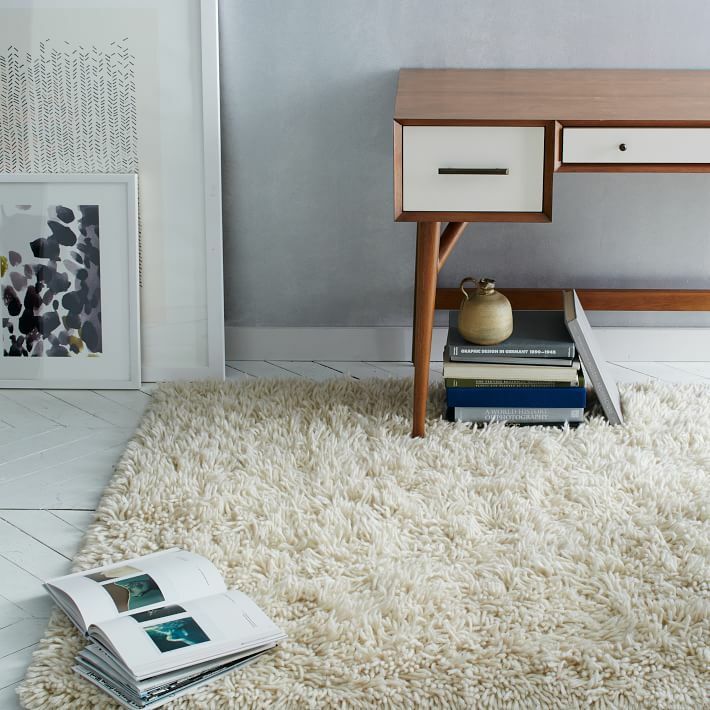 Before we say goodbye, let’s drift into dreamy design territory, thanks to two beautifully crafted rugs that are true works of art. 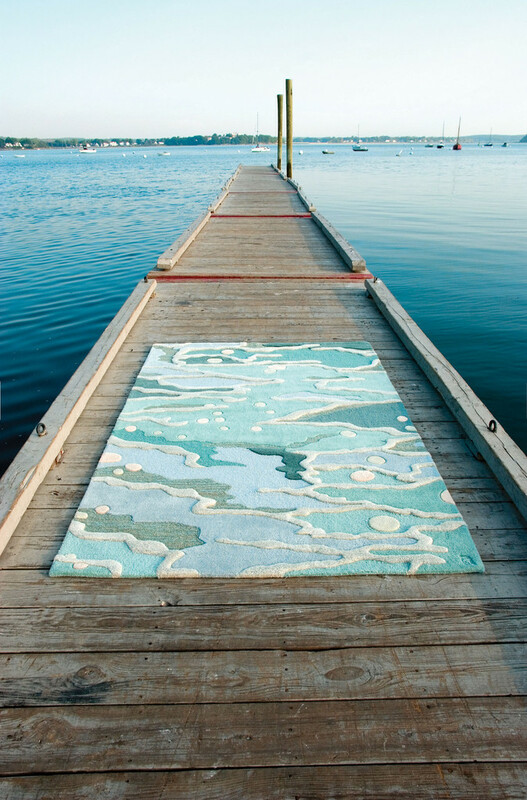 First up: the Ocean rug from Angela Adams. 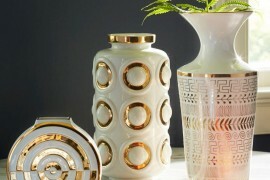 We’ve been fans of this piece for years. 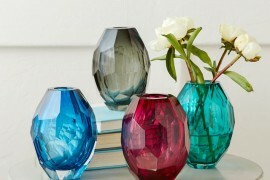 It’s fit for a mermaid (and modern design lovers, of course)! 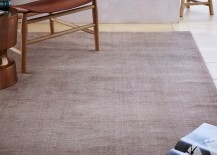 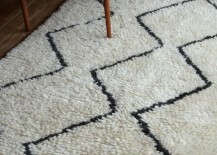 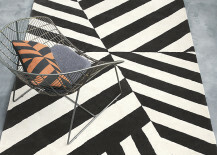 Angela Adams also celebrates abstract style with Downpour, an area rug crafted from New Zealand wool. 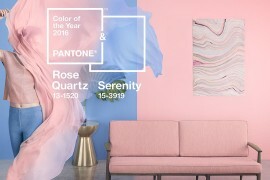 Note the raised surfaces, and the soothing color combination of rosy tones with cream. 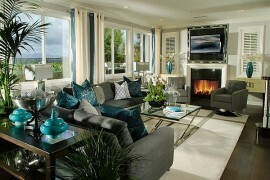 Heavenly, like a surprise rain shower! 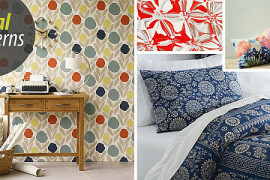 We at Decoist wish you a design-fabulous start to 2016!